The global beverage industry has an annual worth of $1.4 trillion and expected to see a 2.6% increase each year. The beverage industry consists of the following market segments of soft drinks, beers, ciders, spirits, and wines. The following increases in beverage volume occurred in 2012 illustrated where current market growth is happening. A discussion on the growth and trends of the beverage industry. The following consumer trends have made an impact on the beverage industry as the market strides to meet the demands of its customers. 1. 66% of consumers look for convenience. 2. 48% of consumers look for premiumization. 3. 36% of consumers look for out of the home consumption. 4. 23% of consumers look for choice and selection. 1. The beer industry is worth $91.6 billion a year. 2. Beer accounts for over half of the total beverage alcohol retail dollar sales. 3. Soft drinks can be found in 60% of all public and private middle schools and high schools nationwide. 4. Soft drink purchases by teens in school increased 1,100% over the last 20 years whereas dairy purchased increased 30%. 5. The soft drink industry gains $60 billion a year and produces 15 billion gallons of soft drinks. 6. Water is the world’s most consumed and popular drink. 7. Following water, tea is the world’s most consumed drink. 8. The beverage industry saw an estimated gross profit of 35.18% in 2007. 9. Soft drinks account for more than a quarter of all drinks consumed in the United States. 10. The daily share of soft drink consumption in the United States is 28%. 11. 18% of global beverage shares belong to packaged water. 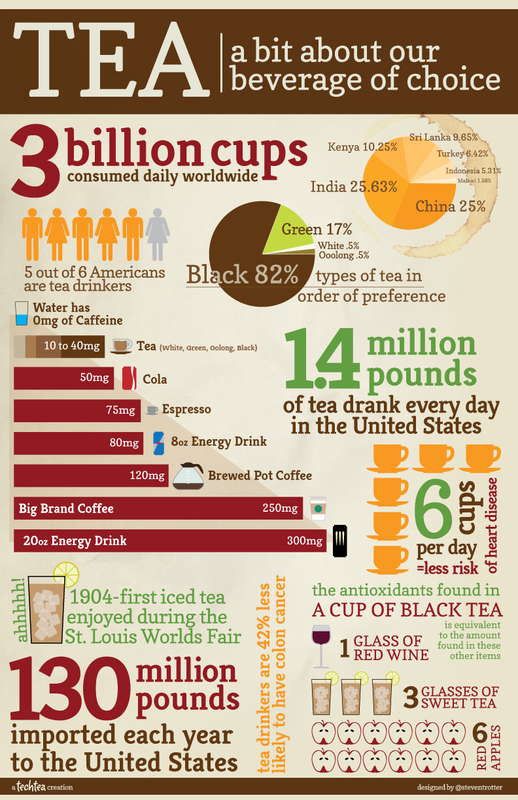 3 billion cups of tea are consumed daily with 82% being black tea. 5 out of every 6 Americans consider themselves tea drinkers. An estimated 130 million pounds of tea is imported each year into the United States.